If you have to create an essay that is beyond the standard format of an academic paper, then this type of work is going to be the one you will want some help with. 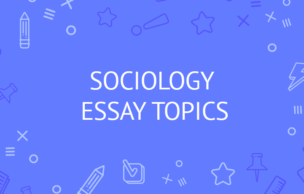 The three different types of essays that you have already completed thus far are narrative, descriptive, and argumentative. You probably have a good understanding of each one. Now you have been asked to write an exemplification essay and you are not sure which way to take it. This article will show you how to write an exemplary exemplification essay and receive approval from your professor. Exemplification sounds like a big word but if you already know about the argumentative essay, you are going to understand this type of paper as well. To write this type of work correctly, you take the argumentative essay and add more details. You want to find lots of facts to back up your words (and numbers as well). It's also important that you blend these facts in within the essay to complete the assignment. Your teacher will most likely go a little easier on you when it comes to being exact in your numbers as well as citations if you are writing this type of essay in class. If you are doing this essay at home, you will want to pay close attention to these citations and numbers to ensure that you do it all correctly. You can also ask your professor what writing style guide you are required to follow: APA, Chicago or MLA. Because this type of essay addresses the argumentative part, you will need to choose a subject that resembles a topic that you would expect to see in an argumentative essay. Look for issues that can easily be adapted for two argumentative sides. You also want to find topics that are a little hard to address in everyday conversations and you should be able to back up this info with some form of argument. Include only straight hard facts in an exemplification essay. Don't try to talk the reader into your opinion or position; otherwise, you will no longer be presenting an exemplification essay. Is it necessary to have a college degree today? It's hard to find a person today that would disagree with the fact that a college degree is critical for your future. Should everyone have access to healthcare? Everyone needs healthcare so why not cover everyone now? Shootings are becoming a frequent story on the news today. This topic must be tackled. Ideas need to evolve so that the world can change. These topics need plenty of research to back up the opinion and you can defend any position you want to. You don't always have to agree with your subject or with a particular argument in order to write a great essay. You simply need to be able to defend your point of view no matter what side you take. Keep in mind, this topic relies entirely on someone's personal opinion and could be difficult to back up with the facts. This problem is somewhat one-sided and it can be very hard to keep it argumentative; so you basically end up stating facts and maybe your opinion. 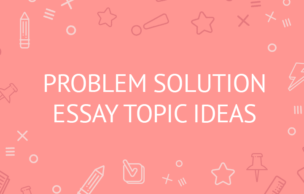 While this topic offers plenty of resources to draw information from, you can't make this issue into an exemplification essay. To write the best exemplification essay, you must first use this four-step writing process to achieve your goals. Brainstorming and outlining go hand-in-hand because they basically end the same way. First, you need to put all the ideas that are stuck in your head on paper. If you do this, you can move on and make room for other thoughts and ideas that are going to help you write your essay. Once your ideas are down on paper, you can sort through them and put them in the right order. When preparing and organizing your outline, you need to include an introduction at the beginning and always add a conclusion at the end. You can add as many details as you need to each paragraph to make it complete. The body section is where you are going to add your main point of view. You will also sprinkle in some supporting arguments to go along with it. The body needs to be filled with facts that can be backed up with the resources that you used for research. You can elaborate more and break each point up into paragraphs that are easy to read and are interesting, too. There are two main parts of this type of essay – the thesis statement and the actual hook. The thesis statement just goes over the exemplification essay topic. You will write a short description including all the main points of your topic that you are going to describe in more detail a bit later. The hook gets the readers' attention and gives them an idea of what your essay is going to be about. Your Body Paragraphs Hold All the Action! The body paragraphs are separate from the introduction and the conclusion. These are all the paragraphs in between. You now have to add your body paragraphs to the essay. The number of paragraphs depends on the length of the essay so keep in mind the requirements set for you by the teacher and follow them closely. Before you start on your paragraphs, you will first need to create an outline that is going to play a huge role in how you write the essay. The outline should include all the little details as well as the significant, important details that can influence the work you are writing. You can find outline templates online or you can create your own. Outlines help you organize your thoughts into a simple map that your mind can read and you can eventually follow it when you begin to write your essay. In the body paragraphs, you are going to elaborate on the information or the hints that you sprinkled around in the introduction. Think of it as filling in the blanks of a story according to your outline. Your paragraphs need to be in order, don't go from one point of your essay toward the end of the second paragraph... and then come back and do a third paragraph that follows the first paragraph. Keeping your facts straight is very important. Never fill the body with fluff. Every word you put in the body of this essay should have a meaning. Be careful and choose your words precisely, so they blend together perfectly and don't cause any problems. If you experience a writer's block, take a break and walk away from your paper. When you come back to it later, you will have had time to clear your mind and think of new things. You now have everything you need: an introductory paragraph, a body with a lot of details, and a conclusion. The conclusion should touch on all your main points but it shouldn't repeat the exact sentences from the body. In the conclusion, you want to add a little more information but not so much that you have a whole new paragraph. You don't want to use this paragraph to attract more attention to a different point of view. You want to convince your reader that you know what you are talking about. Provide them some food for thought. In the conclusion, you want to summarize what you talked about in your body paragraphs. Add a final finish to this essay and it will be complete. When you are writing this type of essay, it's important to follow the argumentative side of things and support it with detailed facts. It's not as easy as stating your opinion. Your readers need to see a new point of view on this topic. You describe it, you bring the new feeling, you throw a few personal jabs at the overall theory, and you leave the reader thinking about this subject – the subject they may have never considered before, at least not in this new light.